Save on your Silver Dollar City visits and Showboat Branson Belle cruises with Coca-Cola! $5 off General Seating tickets on Showboat Branson Belle cruises (ages 12+) Excludes specialty cruises and the 8pm cruise on New Year's Eve. 1. Offer valid March 1, 2019, thru Jan. 1, 2020, with any 20oz. beverage label of The Coca-Cola Company. 2. Your label must be presented at ticket pick up. 3. Limit 4 discounts per label. 4. Offer not valid with other offers, discounts or on previously purchased ticket(s). Visit for just $40 plus tax (all ages) Thursdays from March 14 through May 23, 2019, with this exclusive offer available only at select Price Cutter, Ramey, Country Mart, Summer Fresh, Food Pyramid, King Cash Saver and Pyramid Express locations in Missouri, Arkansas, Kansas and Oklahoma. Tickets can be purchased any day, but can only be used on any one Thursday the park is open from March 14 through May 23, 2019. 1. This offer is valid Thursdays only through 5/23/2019. 2. Purchasers must bring their original receipt to the front gate. 3. Not valid with any other offer, discount or on previously purchased tickets. 4. Tickets must be purchased at locations listed above. 5. Limit 6 admission tickets per transaction. 6. After 3pm, next day free does not apply. 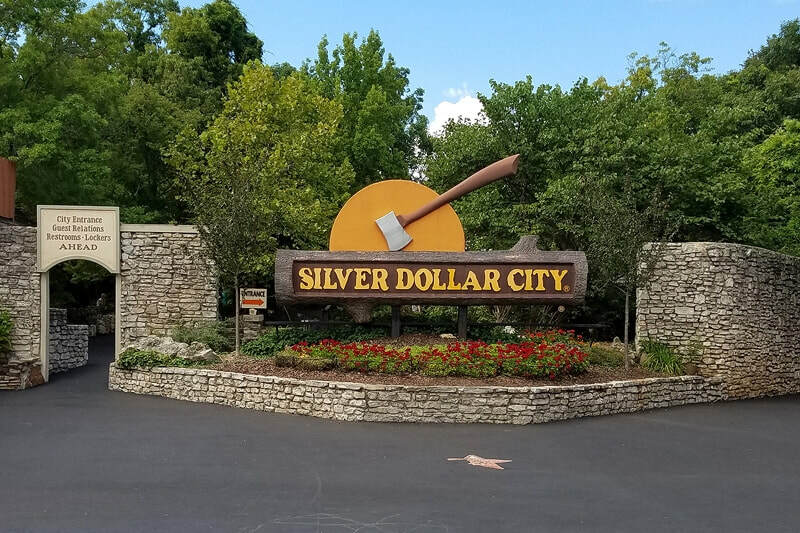 Military Personnel, their spouse, and dependent children (ages 12-17) living in their household receive a Silver Dollar City 2-day ticket for the price of a 1-day ticket OR $5 off a Silver Dollar City one-day ticket. Dependent children ages (4-11) receive a complimentary 2-day ticket when they are accompanied by veteran purchasing a 2-day military ticket, or when the dependent presents an active military ID in their own name, and are accompanied by a paying adult or Season Pass Holder. If the dependent has no military I.D., then the dependent must be accompanied by the parent possessing military I.D. 1. The ticket's second day admission must be used within 2 days of the first visit. 2. Discount tickets for military personnel are only available at the front-gate at Silver Dollar City. 3. This offer is not available with tickets purchased online or through the SDC call center. 4. Military I.D. is required for verification. Military personnel should check with your local ITT / ITR office for even better military ticket discounts! 4. Enter after 3:00 - Get the next day free! Enter Silver Dollar City after 3:00 pm with your paid ticket and return the next consecutive operating day for no additional charge! 1. Offer valid through September 22, 2019. 2. Not valid with any other offer or discount. 3. Complimentary guest vouchers distributed with Season Pass orders, “Price Cutter Thursday” tickets and "After 5:00pm Moonlight Madness" tickets are not valid with the “After 3:00, Next Day Free” promotion. 4. Additional restrictions may apply.